Draft: 2015, Miami Marlins, 8th rd. 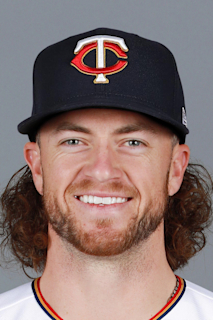 Christopher Joseph Paddack...wears a suit to the ballpark on the days he is slated to take the mound...roots for Texas A&M athletics...if he was not a professional baseball player he would enjoy giving guided hunts...his favorite TV show is The 100. Split the season between Lake Elsinore (A) and San Antonio (AA), striking out 120 while walking only eight in a combined 90.0 IP... Went 7-3 with a 2.10 ERA (21 ER, 90.0 IP) in 17 combined starts between LE and SA...Named Minor League Pitcher of the Year by Yahoo! Sports, Padres Pitching Prospect of the Year by MLB Pipeline and a California League Mid-Season All-Star for LE...Began the season on the seven-day DL recovering from Tommy John surgery and was reinstated on 4/30...Did not allow a run through his first four starts and 21.2 IP from 4/30-5/18, going 3-0 and striking out 36 while walking two...Posted back-to-back season-high 10 SO efforts on 5/18 and 5/24, as well as another 10 SO outing on 6/6, one shy of his career-high 11 SO from 6/2/16 vs. Rome while with MIA's Greensboro (A)...Promoted to SA on 7/5 and allowed three earned runs in one of his seven Double-A starts, two runs once, one run three times and no runs twice...Did not walk more than one batter in any of his 17 starts on the season...issued one walk in eight outings and no walks nine times...Entered 2019 rated as the No. 34 prospect in all of baseball by MLB Pipeline, No. 44 by ESPN.com and No. 66 by Baseball America...Among prospect rankings in the Padres system entering 2019, he was ranted No. 4 by ESPN.com, No. 5 by MLB Pipleline and No. 6 by Baseball America. August 28, 2018 RHP Chris Paddack assigned to AZL Padres 1 from San Antonio Missions. July 5, 2018 RHP Chris Paddack assigned to San Antonio Missions from Lake Elsinore Storm. April 30, 2018 Lake Elsinore Storm activated RHP Chris Paddack from the 7-day disabled list. April 1, 2018 RHP Chris Paddack assigned to Lake Elsinore Storm from Fort Wayne TinCaps. September 26, 2017 Fort Wayne TinCaps activated RHP Chris Paddack from the 60-day disabled list. April 6, 2017 Fort Wayne TinCaps placed RHP Chris Paddack on the 60-day disabled list. September 8, 2016 Fort Wayne TinCaps activated RHP Chris Paddack from the 7-day disabled list. July 27, 2016 Fort Wayne TinCaps placed RHP Chris Paddack on the 7-day disabled list. June 30, 2016 San Diego Padres traded RHP Fernando Rodney to Miami Marlins for RHP Chris Paddack. June 30, 2016 RHP Chris Paddack assigned to Fort Wayne TinCaps. May 22, 2016 RHP Chris Paddack assigned to Greensboro Grasshoppers from GCL Marlins. June 22, 2015 Miami Marlins signed Chris Paddack. June 22, 2015 RHP Chris Paddack assigned to GCL Marlins.